We offer quality and reliable luxury transportation services with the best professionalism. This is why we have a lot of repeat customers who always prefer to use our limo service Dallas for their luxury transportation needs. We make sure that the time you spend in our limos are stress free and enjoyable to the core. We are there to offer you a wide variety of limo service Dallas that includes special events transportation, birthday parties, proms, airport transfers, sightseeing tours, wine tours, etc. We have limousine service Dallas vehicles, large enough to carry as many as 20 passengers. We offer high end amenities in our luxury limos like big screen TV, DVD player, music system with iPod/ iPad connectivity, surround speakers, LED lighting, rich leather seats, carpeted floors, etc. If you want to avoid the hassle of driving in heavy traffic or do not want to be caught by the police for DUI, then hiring our luxury limo service Dallas vehicle of your choice is the ideal option. For groups with 20 or more passengers, you might find our Dallas Party Bus more comfortable! In addition, if you are planning a field trip or corporate outing, try our charter bus rentals in Dallas. When traveling through or visiting the third largest city in Texas you can make it a night everyone can enjoy. Reserve a Dallas limo rental as you celebrate with your friends and family a wedding, prom, quinceanera, or sporting event. Make your anniversary a memorable one by making your way to the Morton H. Meyerson Symphony Center or Winspear Opera House for a show your loved one can enjoy as we pull up in a Dallas Escalade limousine. With any of our limo rentals in Dallas make your way to the State Fair of Texas which is held every year. Head out to the fun fair festivities as well as enjoy the Red River Shootout between two prominent universities in the country, Texas and Oklahoma. Arrive in one of our 18 passenger Dallas Hummer limos as you get ready for a full day of activities at the Fair as well as a great football game in the afternoon. Don’t hesitate to reserve a vehicle, call us 214-206-9269. Booking the limo rental Dallas vehicle of your choice will just take a few minutes. It is not a tedious task. You need to make a call to our customer help desk to give details of your travel itinerary and our staff will suggest you with the best model limo and the charges for it. You also have the option to book the limousine service Dallas of your choice through our website. Just fill in the details in the online reservation form and you will receive a quote for the same in minutes. 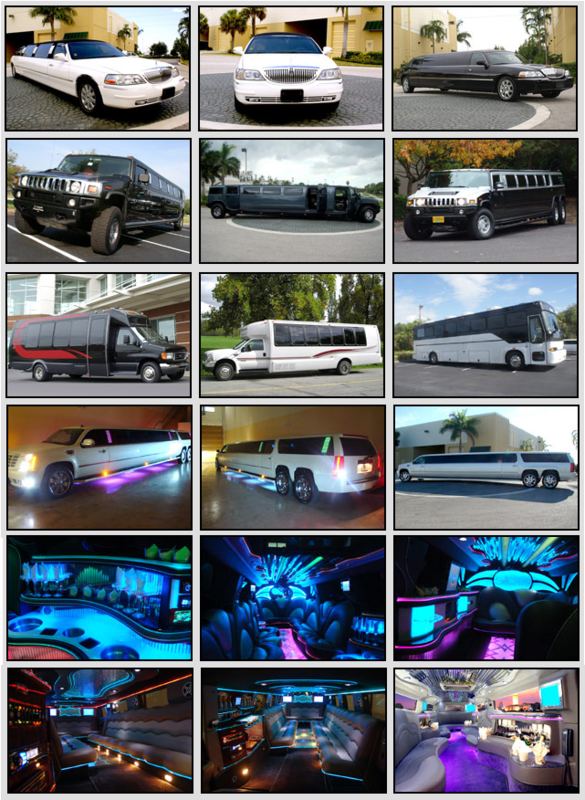 We offer a wide variety of limo fleets to suit your budget and luxury transportation needs. Some popular brand limo rental Dallas vehicles in our stable are: Hummers, Mercedes stretch limos, Lincoln stretches, white and black Infinities and more. These rides also are offered with different seating capacities to suit your family. Reunion Tower; an observation tower to see the beautiful sights of the city of Dallas. Nasher Sculpture Center; get the see the best collection of modern sculptures. Galleria Dallas; a high end shopping mall to enjoy with your family. Celebration; a decent eating joint to enjoy homemade style fried chicken, pot roast and many salads. Our limousine service Dallas rates are the lowest that you will come across in the city and its surrounding areas. Book our limo rental Dallas service in advance and you can enjoy even better discounts and price cuts. We take great pride in offering quality limo service Dallas airport transportation services. We make sure that your transfer to and from Dallas Love Field airport and Dallas/ Fort Worth International airport are very smooth and hassle free. You can visit cities like Garland, Arlington, Irving, Duncanville, Highland Park, Irving, Carrollton, DeSoto, Richardson and Addison to attend any event or sightseeing tour on our limousine service Dallas vehicles. Nearby alternatives include Limo Service University Park TX and Limousine Service Carrollton TX.